There is something truly enticing about islands. Islands are a stretch of land that stands in peace amidst blue waters. Islands were always marvelled to be mysterious due to its disconnection with the busy city life. Such has been the popularity of islands, that with the help of science, man has learned the art of making their own artificial islands all over the world. 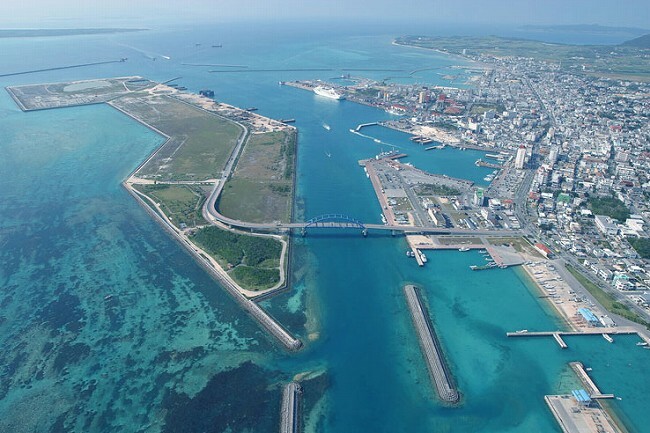 These islands are usually used for airports or sea ports. Man has put together the beauty and utility that depicts the natural island. We are able to create some of the most stupendous man-made islands in the world. Let us have a look at some of the most wonderful man-made islands in the world. The channel separating Little Balboa Island from Balboa Island. 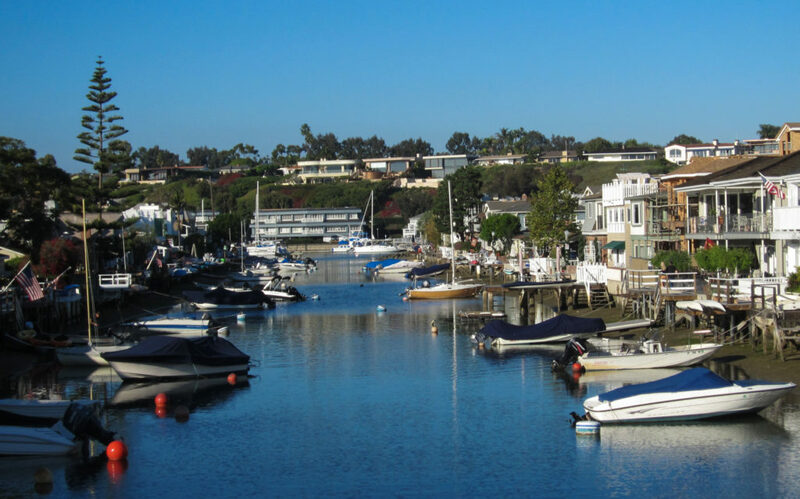 The Balboa island is a chain of three man-made islands in Newport Beach, California, namely the Balboa Island, Little Balboa Island and Collins Island. The Balboa island community is joined by a 2-lane bridge and ferry boats to connect to the mainland. The island is known to have some of the most expensive real estate markets outside Lower Manhattan, in North America. A simple two-bedroom house with a living room that provides water vines will cost you about $3 million. This island has a single bar in the whole area that has been serving people for nearly 80 years. Hop on a ferry to the island and go shopping at the Marine Avenue. The shopping centre features stylish beach fashions and chic coastal shops. 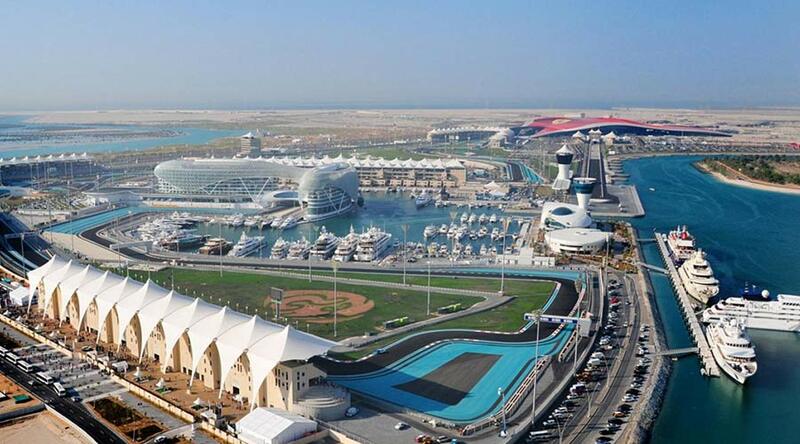 Take an Abu Dhabi city tour and visit the infamous Yas island in the capital city of United Arab Emirates. 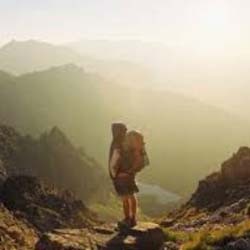 Revive your senses, live your dreams and get ready to make memories that will last a lifetime. Experience the Emirati hospitality and pristine beaches at the Yas island. This all while amidst the sparkling aqua blue waters of the Arabian Gulf. An Abu Dhabi City tour is incomplete without exploring Yas island. Whether you are looking to have an adventurous experience or want to lie down on the beach and relax, Yas island is the place for you. The island features Formula 1 Race Track, that’s open to the public for recreational activities every Tuesday morning, for free! A man-made archipelago, the Palm Jumeirah island is created using land reclamation. The Palm islands include three different islands namely the Palm Jumeirah, Palm Deira and the Palm Jebel Ali. These islands extend into the Persian Gulf and further increasing the shoreline of Dubai by 520 kilometres. Out of the three islands, Palm Jumeirah is the original and the smallest island. 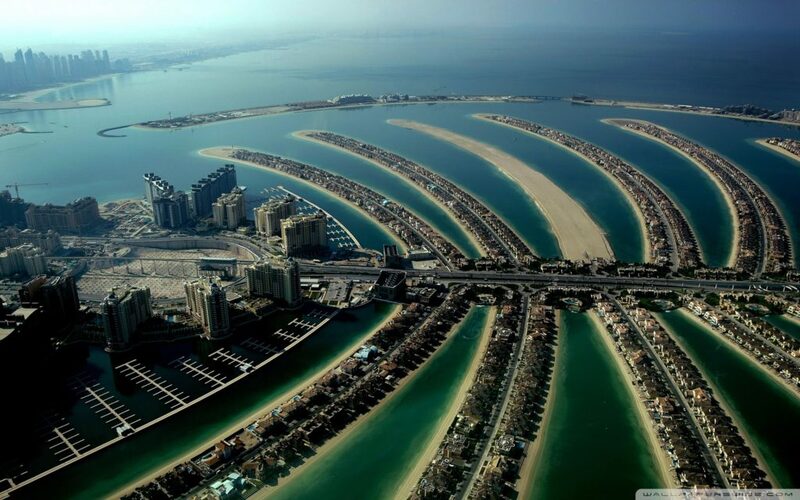 Creation of the Palm islands began in June 2001. The island was meant to be a bigger island but it was later downsized to three different smaller islands. Despite the enticing white sandy beaches the island was uninhabited and was covered in a swamp. until the Prune island, as it was earlier known, was transformed and created with modern engineering facilities. 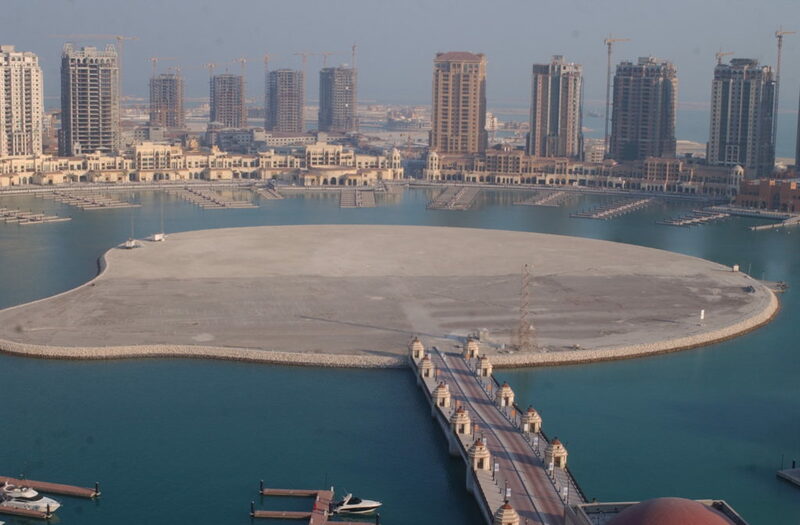 This artificial island is stretched for nearly 4 million square metres and located around 350 metres away from the Doha shoreline. The island allows foreign nationals to have freehold ownership, the first land in Qatar to provide this right. The Pearl has beautiful Mediterranean style marinas, lined with yachts, luxurious shopping boutiques and showrooms, villas and hotels. The island features a popular dining spot, decorated by the waterfront and lined with different cafes and restaurants serving distinct taste, from a fresh ice-cream to providing a five-star dining experience. This man-made island was constructed between 1966 to 1981 at Pork Kobe, the Port island was officially opened with an interpretation called Portobia 81. Today, the island houses several hotels and restaurants, a heliport and a convention centre, numerous parks and Japan’s third IKEA store. What’s more, the island also has a university campus. The Kobe Airport is at the furthest end of this island from where you visitors can get a serene view of the sea horizon. People can even get a chance to see the Akashi Kaikyo Bridge if the weather is good. Akshay Koranne is a professional travel blogger who loves to travel across the world and share his experiences with fellow travellers.